Click on the orange RSS button to be automatically updated with any additions or changes to simplytoolsteel.com You will be the first to know what is going on in the tool steel industry. Articles like the one listed below will automatically be delivered to you. Continue reading "STS Knife Steel Store CPM S35VN"
Simply Tool Steel is the premier online source for Z-Wear PM, CPM 3V and CPM S35VN knife steel. Continue reading "STS Knife Steel Store"
4140 is not a tool steel, but it is an alloy steel that is commonly used in conjunction with tool steels as structural components. Continue reading "4140 Alloy Steel Data Sheet"
A-2 is a well balanced grade of tool steel, which has good wear resistance and very good toughness. It is also very stable in heat treating. Continue reading "A-2 Tool Steel Data Sheet"
Reduced advertising rates on SimplyTool Steel. Plus a free post on Simply Tool Steel Facebook page. 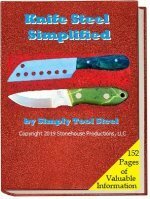 Continue reading "Advertise on simplytoolsteel"
Knife Steel Simplified is our new book that contains 152 pages of tool steel information devoted to the knife maker engaged in the production of high-quality tool steel knives. Continue reading "Knife Steel Simplified Book"
"Tool Steel Simplified" is packed with valued tool steel knowledge and resources necessary to produce high-quality tooling. 226 pages of information that can help you produce high-quality tooling for your manufacturing application. Continue reading "Tool Steel Simplified Book"
Continue reading "STS Knife Steel Store CPM 3V"
Continue reading "STS Knife Steel Store - Z-Wear PM"
Continue reading "Simply Tool Steel Home"
CNC machining has become a leading force behind the manufacturing renaissance. CNC machining provides many benefits that enable the toolmaker to turn tool steel into a tooling component. Continue reading "CNC Machining of Tool Steel"
Emergencies occur when least expected. Are you prepared for a real life emergency situation? 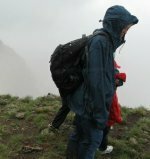 What should you have prepared? Continue reading "Emergency Situation Bag"
M-2 is a general purpose high-speed steel that is used for drills, reamers, drill blanks and pins.M-2 also provides wear resistance and hardness for cold work tooling applications. Continue reading "M-2 High Speed Steel Data Sheet"
Is tool failure a problem for your operation? Many factors contribute to the production of a good tool.. Using the proper precautions can lead to higher productivity. Continue reading "Avoiding Tool Failure"
440C Stainless steel is a heat treatable stainless steel that has been designed for very good wear resistance with moderate corrosion resistance in mild environments. Continue reading "440C Stainless Steel"
420 ESR is an electroslag remelted version of 420 stainless steel. 420 ESR exhibits good corrosion resistance with excellent wear resistance for the plastic molding industry. Continue reading "420 ESR Stainless Steel"
Vinyl extrusion is a manufacturing method that enables large quantities of products to be produced economically. PVC compound is pushed through a die to produce a part profile. Plastic injection molding is used to produce 30% of the plastic products. This process involves the introduction of resin into a mold cavity. Continue reading "Plastic Injection Molding"
Who do you depend on for your tool steel information? Who should you depend on for your tool steel supply? Discover the criteria necessary to make the correct choice. Continue reading "Tool Steel Supplier"
Machining tool steel is the process of shaping the tool steel into a useable form. Learn about the process here or add your knowledge to teach others. Continue reading "Machining Tool Steel"
Rockwell C-Scale is the standard scale on which tool steels are measured. Occasionally, the hardness is stated as Brinell hardness and must be converted to the Rockwell C-scale for comparison. Continue reading "Rockwell Hardness Conversion Chart"
A-11 PM has taken a leading role in many wear-resistant applications while D-2 has been the standard wear resistant tool steel since the 1970's. See how these two common grades compare. Continue reading "Has A-11 PM replaced D-2 as the standard wear resistant tool steel?" Continue reading "A-11 LV Tool Steel Data Sheet"
Choosing the correct tool steel for your application will lead to successful production, less downtime and increased tool performance. Continue reading "Choosing the Correct Tool Steel"
We have added a collection of tool steel case studies that examine various tool steels used, the problems encountered and the solutions that were used to solve the problems. Continue reading "Tool Steel Case Studies"
The EDM process is used in many toolmaking industries to aid in the production of intircate tooling. Read about the EDM process and the necessary precautions for tool steel. Continue reading "EDM of Tool Steel"
Annealing is required when the tool steel needs to be restored to its' original soft condition.to facilitate further machining or hot working. Continue reading "Annealing of Tool Steel"
Metallurgy is the study of the chemical and physical behavior of metals and their alloys. A metallurgist develops tool steels for use in the manufacturing industry. Welding of tool steel is sometimes a necessary practice. This article is an explanation of the procedure and precautions that should be taken and equipment used when welding tool steel. Continue reading "Welding of Tool Steel"
The tensile strength of tool steel is directly related to the hardness of tool steel. This chart shows the approximate tensile strength of tool steel at vaious hardnesses. Continue reading "Tool Steel Tensile Strength"
PM T-15 tool bits are used for machining of hard materials. They are able to withstand the high heat generated by the frinction of the machining operation. Continue reading "PM T-15 Tool Bits"
CPM 1V is a very tough hot work tool steel. This grade is a medium hardeneing tool steel designed for for applications requiring very good toughness with good wear resistance. Continue reading "CPM 1V Tool Steel Data Sheet"
An understanding of the definition of heat treating and its' affect on the properties of tool steel is explained here. Continue reading "Heat Treating Introduction"
CPM S90V is a high wear resistance stainless steel grade suitable for many corrosive tooling applications. Continue reading "CPM S90V Stainless Steel Data Sheet"
Continue reading "Tool Steel Selection"
CPM 154 is a PM version of the popular 154 CM stainless knife steel. The chemical composition is the same, however, the toughness and grindability has been improved. Continue reading "CPM 154 Stainless Steel Data Sheet"
Continue reading "H-13 Tool Steel Data Sheet"
CNC Machines are used extensively in the tooling industry to turn tool steel into tooling components. CNC Machining centers, lathes and mills are common tool room equipment. Continue reading "CNC Machines for Tool Steel Machining"
Let's do some tool steel heat treating. Continue reading "Why do we heat treat tool steel?" CPM 3V provides good wear resistance and toughness in the HRC 58-60 range. Continue reading "CPM 3V Tool Steel Data Sheet"
PM M-48 is a super high speed steel hardenable to RC 68. PM M-48 provides excellent wear resistance combined with excellent heat resistance. Can PM M-48 help solve your tooling issues? Continue reading "PM M-48 High Speed Steel Data Sheet"
L-6 is a tough, high-strength tool steel suitable for general purpose applications. It can be hardened to RC 63. L-6 is in limited production. Continue reading "L-6 Tool Steel Data Sheet"
O-1 is widely used in production parts and tooling fixtures, jigs, slides and pins. O-1 is easily hardened and readily available in flat ground stock and drill rod. Continue reading "O-1 Oil Hardening Tool Steel"
What makes tool steel different from most other steel? How do the alloying elements affect tool steel? The answers are here. Continue reading "Common Alloying Elements of Tool Steel"
Continue reading "CPM S30V Stainless Steel Data Sheet"
Continue reading "M-4 High Speed Steel Data Sheet"
Optimize your tool steel cutting process. Use this chart to determine the proper cutting speeds to use. Continue reading "Tool Steel Cutting Speeds"
Proper management of your company is critical. A project manager is responsible for an entire product line. The tooling manager is responsible for all of the tooling components used within a company. Continue reading "Project Manager/Tooling Manager"
This comparison chart compares the toughness, wear resistance and corrosion resistance of CPM S30V, CPM S90V, 154 CM, 440C and D-2 knife steels. Continue reading "Knife Steel Comparison Chart"